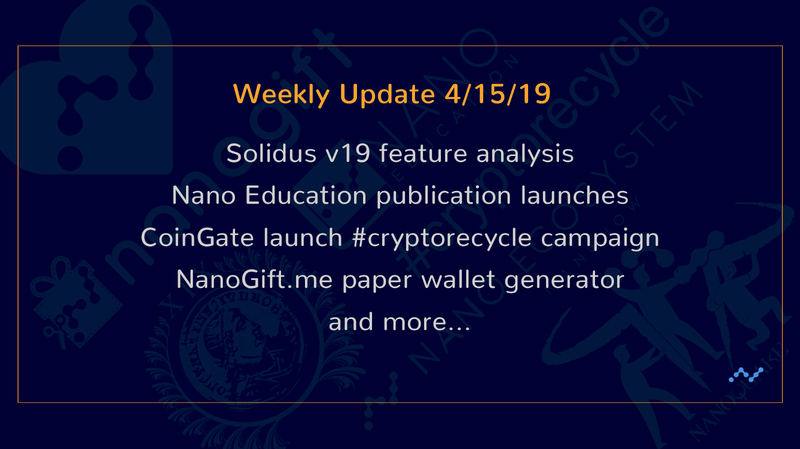 As V19 Solidus marches forward towards its highly anticipated release, we pause to recap last week’s happenings with our Weekly Update. 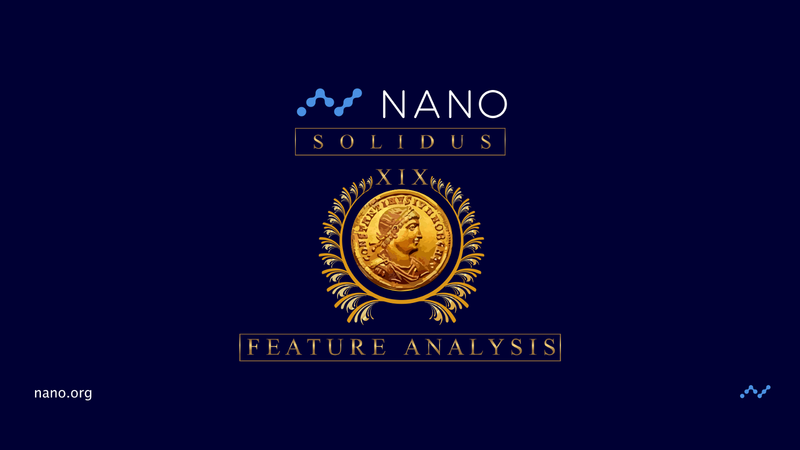 It was a busy week for Nano, highlighted by educational Nano articles including the introduction of Help Nano, Nano Education, and a V19 Solidus feature analysis. Payment processor Coingate also introduced their #Cryptorecycle campaign, NanoGift.me arrives, and more! There’s no shortage of news this week so let’s jump in! On Friday we shared our V19 Solidus feature analysis with the community, introducing the range of incoming additions to the node software. Notable features of ‘Solidus’ include the introduction of Confirmation Height, dynamic proof-of-work changes to help reduce spam impacts, the introduction of a TCP overlay, and more! Well worth the read to help understand the incoming protocol updates. Last week saw cryptocurrency payment gateway CoinGate introduce their #Cryptorecycle campaign, advocating for all crypto users to embrace the true vision of cryptocurrency and use their coins to make purchases. They propose that by spending cryptocurrency and replacing the spent holdings with new fiat, cryptocurrency adoption and global acceptance will occur much quicker, all while increasing the health of the cryptocurrency ecosystem. Check out their blog, it’s a good read and introduces a relevant and interesting discussion! CoinGate has become a popular payment processor in the Nano ecosystem since the native integration in December 2018, offering merchants great flexibility and instant settlements into fiat for their convenience. NanoGift.me is a new Nano gift card/paper wallet generator that allows any user to create a unique Nano paper wallet from home on their desktop! Simply generate the seed, send funds to the newly created wallet, and then decide if you’d like to print, download, or share it with your giftee (you can find the source code on GitHub.). Paper wallets are a fantastic approach to educating people about the ease of using the lightweight Nano currency while gifting real money to your loved ones, friends, and family! Thank you ‘Json’ for your continued dedication to the community! Nano How started as an excellent series of explainer articles written by talented Nano enthusiasts. Nano Education is a new Medium publication that will give a home to these and future educational articles. Full of incredibly detailed and digestible Nano walkthroughs, Nano Education is open to any contributors who are interested in adding high-quality content to the collection. Users can submit content using the Nano Education Medium contact email found on the publication. Most recently, ‘Jayycox’ gave us an excellent introduction to the successful NanoQuake video game integration. 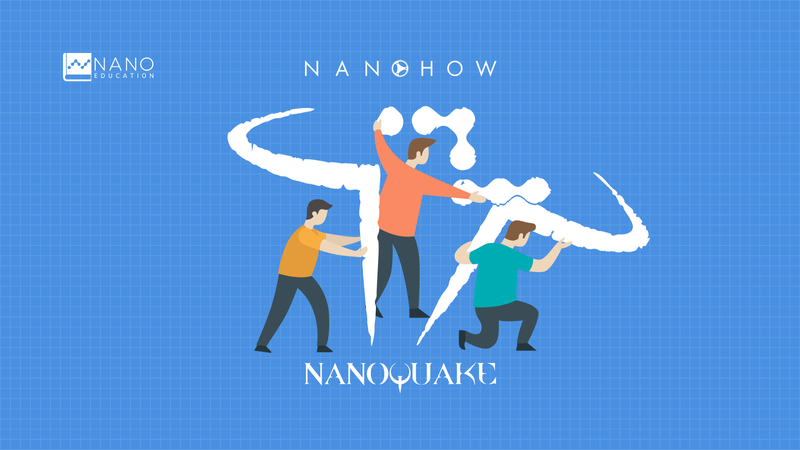 In it, James explains what NanoQuake is, how to install it, and how Nano is utilized in-game! We took time this week to consider the incredible growth of the Nano ecosystem over the past 12 months. With so many important services and tools now built around Nano, we decided to create a handy infographic to help visualize the progress so far. 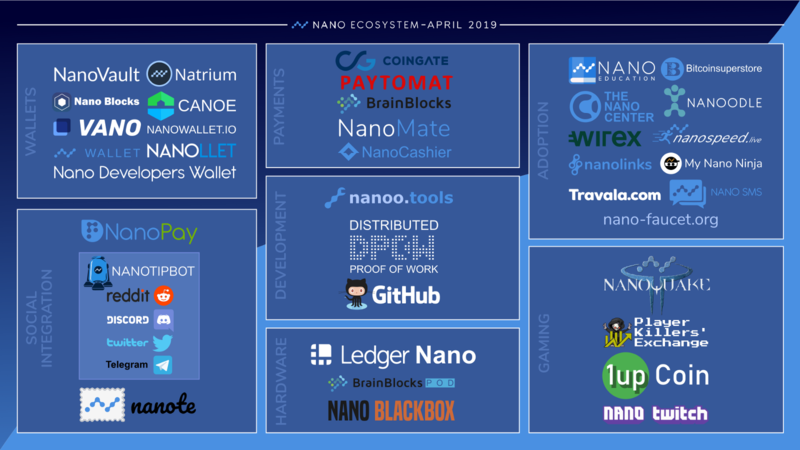 We hope you enjoy this visual view of the Nano ecosystem and invite you to help us share it as these projects continue to grow. Also, keep us updated as more projects are launched so we can provide expanded versions of this resource in the future! The Nano community is a great place to create! People are continually building, writing, developing and discussing ways to help push this technology forward. As inspiring as this is, some everyday users often feel they don’t have the requisite skills to make a difference. However, with Nano, EVERYBODY can help! To assist with this endeavor, Help Nano has been created by Community Manager ‘RockmSockmJesus’. Visiting the site, any user can find out precisely what they can do to help the project (and how). From helping increase decentralization to running a node — there is something for everybody!